Both titles: Burmer's own machines? Richard Burmer falls into the new age/EM crossover area; electronic music, sometimes rhythmic, but rarely intrusive. Tangerine Dream this is not. Klaus Schulze it is not even more. 1984's Mosaic - Electronic Vignettes and Bhakti Point, from three years later are perfectly respectable albums of their type, but they lack any of the excitement that the best EM can generate. However, that seems to be the point; as with Austrian synthesist Gandalf, the music's entire raison d'être is relaxation, not stimulation. Can't say I'm that keen on the style, but horses for courses, eh? 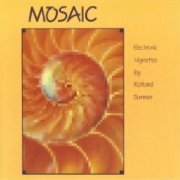 Mosaic - Electronic Vignettes is perfectly good at what it does, and individual tracks have the ability to hold the listener's interest, but the cumulative effect is soporific, although it's difficult to criticise something for doing what it says on the tin. Burmer plays Mellotron and Chamberlin on the album, but the bulk of the keyboard work is either polysynth or Emulator, which presumably handles the various non-musical samples he uses. Charles Thaxton (Char-el) tells me all the album's flutes are tape-replay, along with some of the strings, brass and (Chamby) oboe, although it's frequently hard to tell. Anyway, background (Mellotron?) strings on opener Physics, incredibly real-sounding flutes on Winter On The Wind, less real ones on Riverbend, a chordal part on The Hill and more real-sounding Chamby flutes on closer Ela-a (Theme No. 2), with probable Chamby strings. Any more on there? Almost certainly, but with everything smothered in reverb and washes of synth, it's hard to tell. And I know digital synths were the new kid on the block at the time, but a preponderance of 'wood block'-type sounds have not helped the album date well. 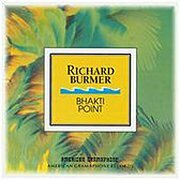 Bhakti Point isn't that different to its predecessor, although Burmer was presumably using some of the late-'80s 'second wave' of digital synths. I see that one of his favourite instruments was Roland's JX-3P, an analogue-with-DCOs machine that I've used myself quite a bit, although I don't know how many of the pads it generated on both these albums. Just Mellotron this time round, with distant choirs and strings on the title track, strings on A Book Upon The Crossroad and Little Dreamer and upfront flutes on Willow Song. I'm afraid to say these albums are a bit of a disappointment. I've read so much about Burmer's tape-replay work, then when I finally get to hear it, it mostly sounds like something else. The albums are pretty bland, too, thus their lowish star ratings. I suppose, like so many owners/players, Burmer didn't actually... revere the Mellotron's and Chamberlin's sounds particularly; they were just tools, there to do the job of contributing towards a sonic palette. Fair enough, I suppose; that's all they are, essentially, but it's a shame to hide the light of something so good under a bushel. Anyway, two passable new agey records, very little tape-replay. 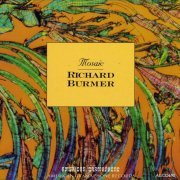 Incidentally, Burmer sadly died at all of fifty in 2006, after producing a handful of other electronic releases in the intervening two decades. T Bone (originally T-Bone) Burnett's career kicked off properly when he joined the travelling circus otherwise known as Bob Dylan's Rolling Thunder Revue in 1975, already in his late twenties, going on to release several solo albums and work with about a million artists, not least Elvis Costello, Bruce Cockburn and (now ex-) wife Sam Phillips. 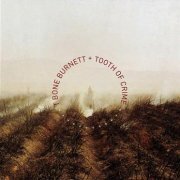 2008's Tooth of Crime is his seventh solo effort proper, featuring Burnett not so much singing as intoning his way through ten compositions informed, as you might expect from the title, by Chandleresque noir, with sleazy, '50s jazz-type horn charts on several tracks to add to the effect, like a Dashiell Hammett novel put to music, albeit with modern influences. Despite having played Chamberlin for several other artists, Burnett gets the inimitable Jon Brion to play it on his own album, with a nicely audible string part on Kill Zone, although that would appear to be it. Tooth of Crime's one of those albums whose detailed arrangements have the potential to grow on the listener, so its rating may be upped at some point. Only one Chamby track, but it's a good'un. Burnin Red Ivanhoe (Denmark) see: Samples etc. Burnt Noodle (originally just Noodle, apparently) are a West Coast psych/jamming band who throw touches of prog into the equation when it suits them, closely allied with The Field, although that outfit are the more progressively-inclined of the two. 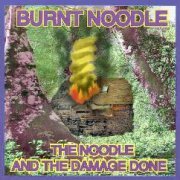 I believe there was an early demo tape, released on CD in expanded form in 1998 as The Noodle & the Damage Done (groan, and groan again), which lets you know where they're coming from in no uncertain terms: largely improvised psych with a Zappa-esque edge in places, working best on lengthy closer Noodle In A Nutshell. Steve Sofranko plays Mellotron, but apart from the occasional flutes on Fall Song, his only Mellotronic contribution is the strings and choirs drifting in and out of Noodle In A Nutshell, the album's one real 'Tron triumph. The band reconvened six years later, releasing Next Exit in 2004; more news when I track a copy down. As for The Noodle & the Damage Done, if you're into, er, altered states of mind, you'll probably love it, but it rather lacks focus for the rest of us. Scrapes three stars. Isn't That What U Came 4? Glen Burtnik (born Glenn Burtnick) is something of a gun-for-hire, not least as a member of Styx for some years; 1996's Palookaville is his third or fourth solo album, depending on what you count, a solid collection of memorable pop/rock, with elements of AOR and the acoustic end of the singer-songwriter spectrum. Not selling it to you? I'm not sure I'm selling it to me, either, although the quality of songs such as rootsy opener Learning To Crawl, Doesn't Mean I Love You, the title track and Liar's Club, complete with its jazzy piano chords, are sort of undeniable. Burtnik plays Mellotron, with a polyphonic flute part on Doesn't Mean I Love You, although all other possible parts are probably something else. Is it real? While early, for samples, generic ones existed in the mid-'90s, but the key-click on the high notes sounds genuine enough. Although a part of me hates (or wants to hate) this, another part loves (or at least likes) it, leaving me with a rather strange dichotomy. Yup, the songwriting's classy and commercial, if a little (or a lot) cheesy at times. Your call, methinks. Over the Radio/Can You Read Me? Tara Busch is an ex-pat American musician, now living in Wales with her husband/creative partner Maf Lewis. Her debut album, 2009's Pilfershire Lane, is less 'avant' than I'd been led to believe, consisting largely of slightly proggy singer-songwriter material, although I suppose that makes it 'avant' compared to the mainstream. Better tracks (by Planet Mellotron standards, of course) include eight-minute mini-epic Pilfershire Lane/Simsbury 1978, the even-more-mini-epic Superfriends/St. George and We Can See Mars, while the last minute or so of closer ... belatedly justifies the album's supposed 'oddball' status. Tara plays a wide range of analogue 'boards, including a Mellotron, with flutes, strings and cellos on Pilfershire Lane/Simsbury 1978, a flute line on Superfriends/St. George and flutes on We Can See Mars, coincidentally (?) the three best tracks. I don't know whether any of you will actually go for this, mainly because I don't really know if I do, either. Unusual and different, but is it any good? Food. Now there's an... unusual name for a band. I'd imagine it's an ironic statement on the kind of overblown monikers some solo artists land on their backing musicians, in which it succeeds admirably, in a pomposity-pricking kind of way. Dave Bush's outfit (including his wife, April Kline) were a New York-based five-piece, whose 1999 debut, The Big One, is mostly powerpop, the remainder being, er, not powerpop, better tracks including the Buffalo Springfield vibe on opener Great Unknown, the Wurlitzer work on the title track and Invisible, although I'm less sure about the likes of the funky Make Me and So Jah Seh. With very little information available, all I can tell you is that the Mellotron on two tracks may have been played by someone called Jeremy, who adds strings to Day By Day and major flute and string parts to Invisible, all sounding nicely real. Overall, then, irritatingly inconsistent, although I'm sure Bush's intention was more 'eclectic' than 'indecisive'. Both titles: Busser's own M400? Swiss blues/prog outfit Whipping Post's keyboard player, US ex-pat C.B. 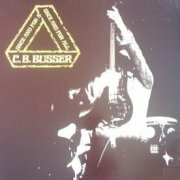 Busser, released solo albums concurrently with his main band's career. 1978's Movies is a slightly mixed bag, to be honest, with the instrumental prog of Bloody Cries contrasting sharply with the acoustic guitar-driven vocal number To Helena and the jaunty acoustic blues of Children, leaving an overall impression of inconsistency with moments of brilliance. Most of the Mellotron work here appears to be choirs, apart from the short repeating 'Tron flute part in the melancholy On The Day My Father Died. Bloody Cries starts with essentially full-on solo 'Tron, and all four tracks featuring the instrument do so at length, although it might've been nice to hear some strings every now and again, rather than the ubiquitous string synth that's splattered all over the thing. Despite rumours, there's no Mellotron on Busser's follow-up, 1979's far more progressive string synth-laden Warship-Suite (****), but, surprisingly, it reappears on the following year's Once & for All, an otherwise rather ordinary blues/hard rock effort, better moments including 1969 Hard Miles and the Neil Youngish Away, neither of which is enough to mask the crummy School Hate. Get over it, man. Busser adds Mellotron to a few tracks, with strings (at last!) and flutes on I'm Getting Out and strings on the title track, although nothing you couldn't live without. There isn't even one really good album to be made from the pair of these, so with only one of them featuring any major Mellotronic input, I'd go for Busser's non-'Tron Warship-Suite in preference to either of these. After leaving Suede somewhat under a cloud, guitarist Butler worked with various people (notably David McAlmont) before kicking off his solo career in the late '90s. 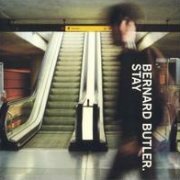 His Stay EP came out on Creation, consisting of an overlong future album track and an overwrought ballad that bookend the not-too-bad Hotel Splendide, complete with 'Tron strings, which is probably all you need to know about this one. 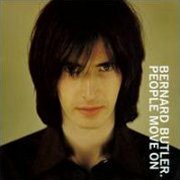 People Move on was hailed in some quarters, though I can't say that this was one of them; brave attempts to sing fall rather flat (literally) and I have to say, I find the whole thing rather overblown. 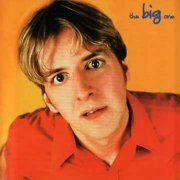 His attempts to sound 'epic', er, don't and at over an hour, the album heavily outstays its welcome. I don't know who plays the Mellotron, although it seems likely it was Butler himself. The anthemic but overlong Autograph does feature some nice 'Tron strings and flutes, complete with authentic-sounding pitchbend, though, while You've Got What It Takes has an orchestrally-arranged string part, which has to be from a real Mellotron, going by the sound's ungainly attack. Hurrah! Anyway, don't go too far out of your way for these. I didn't. 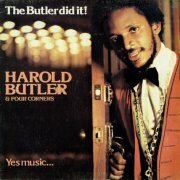 Keyboardist Harold Butler has played with many of reggae's top names, not least Dennis Brown and Toots & the Maytals, running an occasional solo career concurrently with his session work. 1978's The Butler Did it! is less a solo album per se, more a production project, Butler playing keys with Four Corners backing a set of soul singers, playing material sitting somewhere in between soul and reggae. But is it any good? The playing and singing are superb, as you'd expect, but don't expect to get much out of this unless you like, er, soul crossed with reggae. Butler plays Mellotron flute and string parts on Cynthia Schloss' Love Forever, despite the real strings employed on the rest of the album, although he chooses not to use it on any of his own four pieces. So; good at what it does, one decent Mellotron track. 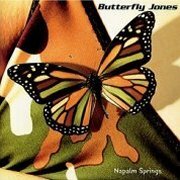 Butterfly Jones include ex-members of Dada (or dada), which is all very well, but since I've never even heard of, never mind heard them... Napalm Springs (ho ho) consists of an odd mixture of styles, switching between the Beach Boys-esque Sunshine And Ecstasy (at least in the vocal department) through the punkish The Systematic Dumbing Down Of Terry Constance Jones to the symphonic pop of Suicide Bridge, although the album's overriding influence is classic powerpop. Butti 49 (Norway) see: Samples etc. Buurman (Belgium) see: Samples etc. I may have said this before, but I find it odd that a genre can be defined by its lyrical content rather than musically, but how else can you describe Contemporary Christian Music, or CCM? Admittedly, an awful lot of it is insipid pop/rock, but there are other musical genres contained within it, allegedly even full-on metal, though presumably not the black variety... By the Tree are presumably named for the appalling Roman method of execution (er, are there any good ones?) that kick-started a religion based on pain, shame and guilt, so I wouldn't go on about it too much if I were you... Amazingly, they play mainstream pop/rock with Christian lyrics, which is a real turn up for the books in CCM circles. OK, it isn't. 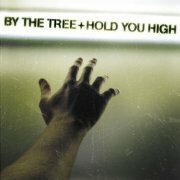 Although Hold You High starts in a reasonably promising manner, with the high-octane title track, it slumps into a slough of mediocrity all too soon, with only the occasional burst of energy (Lord, Let Your Glory Fall) to enliven things a little. The lyrical content is exactly what you'd expect, but I suppose that's why it's considered CCM, not merely mainstream pop/rock. Tape-replay player to the CCM crowd Phil Madeira plays Mellotron and Chamberlin here, with what I would guess are 'Tron flutes and Chamby strings on Miraculous, with more Chamby strings on Reveal and Lord, Let Your Glory Fall, though that would appear to be it. So; usual dullard stuff, with one reasonable tape-replay track. Did you expect more? 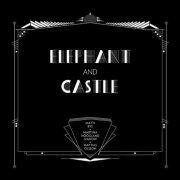 2011's Elephant & Castle (named for a rather grotty inner London suburb) is a (one-off?) project from noted Swedish film score composer Matti Bye and our old chum Mattias 'Änglagård' Olsson. The album's also credited to Swedish photographer Martina Hoogland Ivanow, fourteen prints of whose work are included in the expensive, limited-edition package, also consisting of (you're gonna love this) a vinyl LP and an even more expensive version including (here we go) a phonograph cylinder, although a quick spot of research tells me that the duo aren't the first artists to produce such a thing for eighty years or so, as several artists have utilised the severely outmoded technology over the last decade or so, presumably for novelty value. The album bears comparison with other Mattias projects in its heavy use of '70s optical disc technology, notably the Vako Orchestron, Mattel's Optigan and the lesser-known Chilton Talentmaker, which, between them, provide most of the album's rhythm tracks, other instrumentation including a handful of 'regular' synths (MiniMoog, Korg Mono/Poly and the like), the Roth-Händle pipe organ (I can only assume it's a pretty small one), various glockenspiels and a tuba. Musically, most reviews come up with phrases like 'underwater', 'broken-down fairground' and the like, which are pretty accurate, to be honest. Entirely instrumental, most of the fourteen tracks (one per print, presumably) sound like the bankrupt, decrepit circus leaving town, a sad, bedraggled collection of instruments painfully squeezing out their last, haunted melodies... You get the idea, I expect. And yes, it is, of course, wonderful. Mattias has helpfully listed all the Mellotron sounds used, so it's with complete confidence that I can tell you that you're hearing (deep breath) the Chamberlin solo female voice on opener Elephant & Castle I, MkII brass and mandolins and Chamby steel guitar on Empty Chairs, vibes, oboe and 'carousel effects' on People Passing Sunset, the infamous wineglasses on Northern Flakes, flutes and the filthy Hammond (with pedals) on The Eye Of A Giraffe, cello and timps on Girl Catching Glassbowl and more Chamby steel guitar on Happy Cow And Ladder. After a Mellotron-free two-track break, we finish off with a (real) Chamberlin Rhythmate and Mellotron string section on Man Playing In A Park, tubular bells, boys' choir and more Chamby female voice on Desk With Torso, more tubular bells and cellos, with MkII 'moving strings' on Flowerlady and finally, a complete 'Tronfest on Elephant & Castle III, with more tubular bells, boys' choir and mandolins, plus Chamby flute and clarinet and the album's one example of the classic strings, a.k.a. three violins. If I'm going to be brutally honest, I can't really recommend that you pay over a hundred dollars for this set, however good it is and however beautifully packaged, but should an affordable version appear [note: it has], I'd snap it up before the duo decide to delete it. If you've heard Mattias' AK-Momo project from a few years back, you'll vaguely know what to expect. 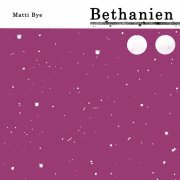 Bethanien consists of mostly solo piano pieces, starkly beautiful in their minimalism, albeit all largely interchangeable. 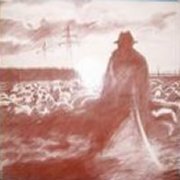 The album's other instrumentation, never overt, includes vibes, glockenspiel and field recordings, plus (of course) Mellotron, with flutes and background strings on This Forgotten Land. Real? Very hard to tell, but it doesn't look like Mattias' machines were involved. A gorgeous album, but probably not one to play if you're in need of cheering up. Byfrost (Norway) see: Samples etc. Despite splitting Talking Heads many moons ago now, they're what David Byrne is best known for, and will doubtless be so for the rest of his career, whatever he may feel about the situation. 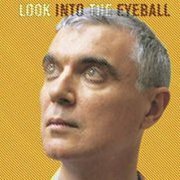 Look Into the Eyeball is his seventh solo album proper, and mixes and matches his various influences in a rather pleasing manner, although I personally prefer it when he strips the Cuban/Brazilian percussiveness away, so highlights for me include the quite beautiful The Revolution and The Accident, unsurprisingly, two of the gentler numbers here. The lyrics are excellent across the board, full of the sort of wry humour we've come to expect from Mr. Byrne, not a million miles away from the wondrous Richard Thompson (with whom he has played in the past). And is it just me, or does he sound a bit like Mr. T vocally on a couple of songs? Anyway, not an awful lot of Mellotron; I'm most surprised he's bothered to use one at all, to be honest, but there it is, on closer Everyone's In Love With You, with a little rhythmic chordal flute part running through the song from Byrne himself, key-click and all. Jim Byrnes (US) see: Samples etc. Heep's then-bassist John Wetton adds his ex-Crimson Mellotron to a couple of tracks, with a string part on Man Full Of Yesterdays enhancing an already good piece, while an uncredited high-in-the-mix cello part does the same for Silver White Man (unless Stonebridge got in on the action, of course), while Love Song's polyphonic flutes do their best to improve a rather dull song. That's your lot, but all in all, this is vastly better than expected and worth picking up if you see it at a reasonable price. 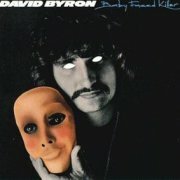 Three years on, Byron's second and last solo effort, Baby Faced Killer, is very much of its era, being polysynth-heavy (CS80?) mainstream rock, lacklustre to the Nth degree. The album has its moments, not least Heaven Or Hell's middle eight or Only You Can Do It's intro, while the boogie-by-numbers Acetylene Jean and closer I Remember are just about acceptable, but they're stunningly slim pickings, indicative of Byron's musical and personal (further) decline post-Heep. Daniel Boone plays Mellotron, with a chordal flute part on Sleepless Nights, volume-pedalled strings on African Breeze and flutes on Heaven Or Hell, although the strings on Everybody's Star, Don't Let Me Down and elsewhere are most likely synth-generated. These two albums couldn't be a lot more different; what a difference a few years makes. Byron stumbled through several other no-hoper bands post-Heep, turning down an invitation to rejoin after Hensley's departure in 1980, a classic case of pride before a fall if ever I saw one... Eventually, the rock'n'roll lifestyle caught up with him and he died of alcohol-related illness on 28th February 1985, aged all of thirty-eight. What a waste.